The building of the Patriarchate at Prince Sima Markovic 6 was built from 1932 to 1935. Designed by the Russian architect Viktor Lukomskog in the spirit of academic architecture, and akademizirane using variants of Serbo-Byzantine style. 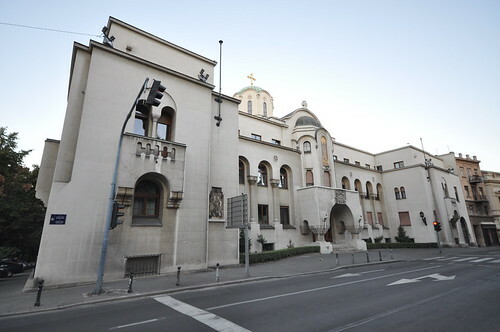 It represents a monumental building that houses the supreme governing body of the Serbian Orthodox Church.